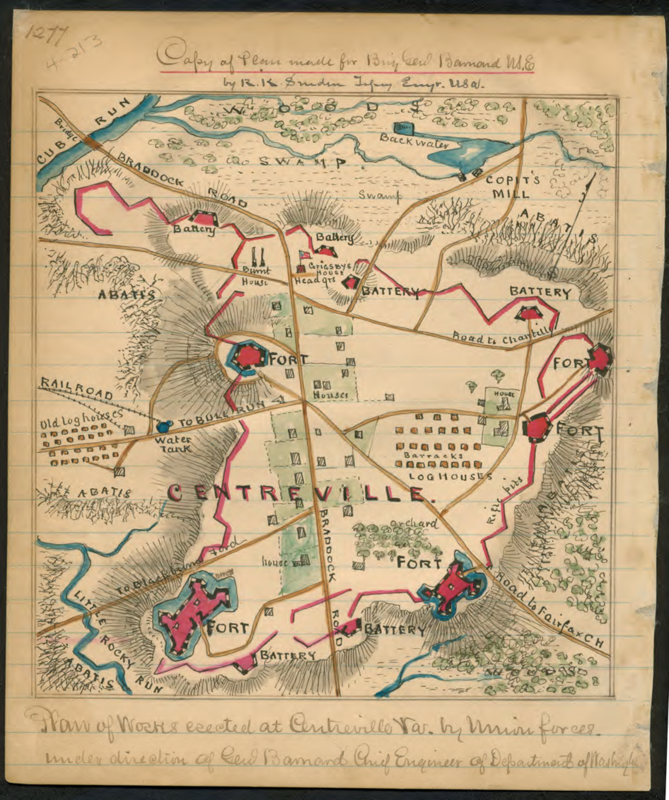 Living in Centreville today, it can be hard to envision that it was once the site of major military movements during the Civil War. Sure, we’re reminded of the battles of Bull Run every time we drive down Rte. 29 towards Manassas, but for the most part, Centreville has shed all traces of that period of time, and the military barracks have been replaced with restaurants and retail shops. The next time you are on Route 29, and crest the hill at the intersection of Route 28, think of what it must have been like for the soldiers stationed there over 150 years ago. Here’s a map that shows the plan of works erected by Union forces, under direction of General Barnard, Chief Engineer of Department of Washington, some time between 1862-1865.